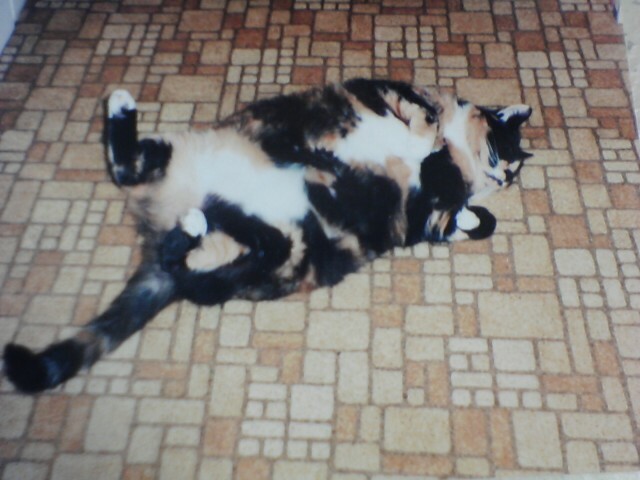 No matter where she was, Tara loved to be belly up showing off her beautiful tummy. It's one of the things I miss most about her. What a cute tummy, too! What a wonderful tummy and a lovely memory too. What beautiful girl Tara was. We are sorry she is no longer with you. Purrs and hugs from the kitties at www.thecatonmyhead.com, Lily Olivia, Misty May, Mauricio, Giulietta, Fiona, Astrid, Lisbeth and Calista Jo. Awww, what a sweet memory to have. She was adorable. They leave us with the best memories. Thank you for sharing. What a sweet cat. She'll always be with you. What a cutie!! She will always be with you! Love the picture on the window sill. Too cute! Rest in peace Tara. Those are some wonderful memories. 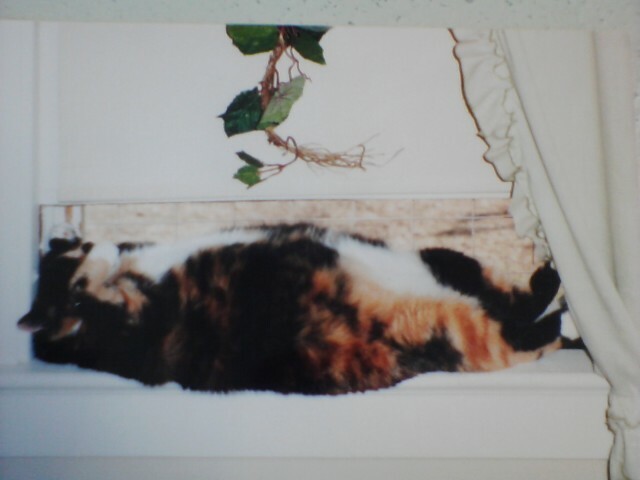 Tara had such a beautiful and floofy tummy! Tara has such a gorgeous coat! A beautiful memory of a beautiful girl! What an adorable and funny girl she was. I know you miss her every minute of every day.